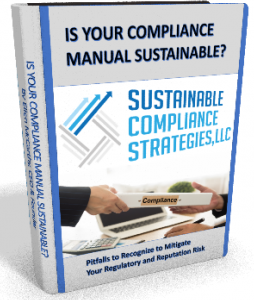 Is Your Compliance Manual Sustainable? © We can help. Read our ebook for guidance on pitfalls to recognize to mitigate your regulatory and reputation risk. Then, book an appointment so we can tailor a strategy to make YOUR compliance program sustainable. Ellen McCarthy was selected to discuss the emerging importance of operational risk management at the Center for Financial Professionals’ (Cefpro) 6th Annual Risk Americas Convention, America’s premier regulatory risk Convention held in New York City. Immediately following her session, Ms. McCarthy led a luncheon roundtable on effective governance models supporting the independence of the risk management function.